Everybody knows that saving is a good habit — it’s obviously better to have more money in the bank than less — but actually getting yourself to put money away rather than spend it on things you like can feel close to impossible. If you’re having trouble making yourself save your money, don’t give up! 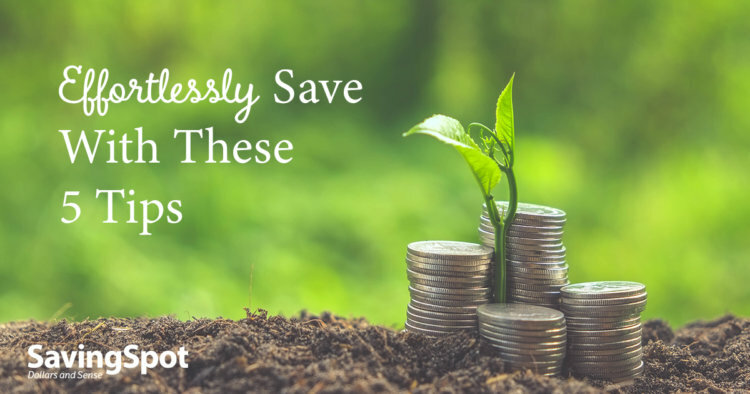 Instead, try some of these five tips to start saving without even having to think about it. If you have a checking and a savings account, most banks will let you set up regular transfers between them. Pick an amount that you can comfortably spare after basic necessities and have your bank transfer that amount into your savings on or around the day you get paid. You’ll never see the money in your checking account, so you won’t be tempted to spend it. Just make sure you don’t pick an amount that’s too high — getting an overdraft fee or having to take some money out of savings to cover at the end of the month defeats the purpose. Don’t look at your savings. Consider opening your savings at a different bank than your checking. That way, you won’t see your savings balance, and you won’t be tempted to spend that extra money every time you log on. Just be sure to check on your savings every so often to make sure there aren’t any errors or fraud attempts. Automatically increase your 401(k) contributions. If you have a 401(k) through your job, you can often set your contributions to increase by a certain amount each year. Bumping your contribution amount 1% each year means you’re saving more without really noticing the change. Similarly, when you get a raise, increase your contribution by a slightly smaller amount than your salary increase. You’ll still see more money on your paycheck, but you’ll be saving more, too. It’s easy enough to get by in the world today with just a debit or credit card, so take advantage of that by saving all your hard cash. If you find yourself with some actual bills in your wallet, resist the urge to spend them freely. Instead, keep a jar in your house where you can stash bills and coins you come across. Every so often, deposit them in your savings account. When you find some new way to spend less each month — cancelling subscriptions, eating out less, shopping at more affordable spots, etc. — don’t use that extra money on anything equally frivolous. Instead, put the money you’re saving directly into the bank. Like in the tips above, your day-to-day money situation won’t change, so it won’t feel like you’re sacrificing anything. 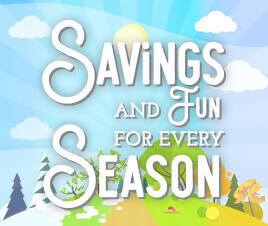 You’ll just be saving!